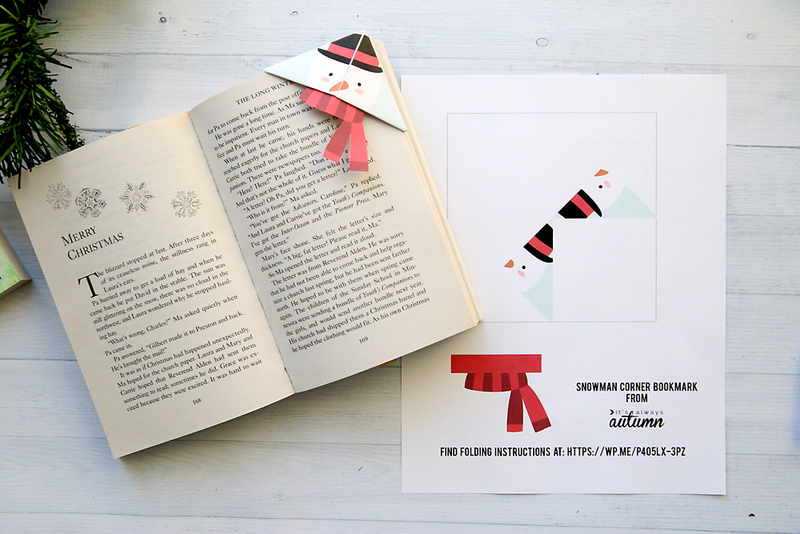 In today’s post: Find free templates for five adorable print + fold Christmas origami bookmarks! 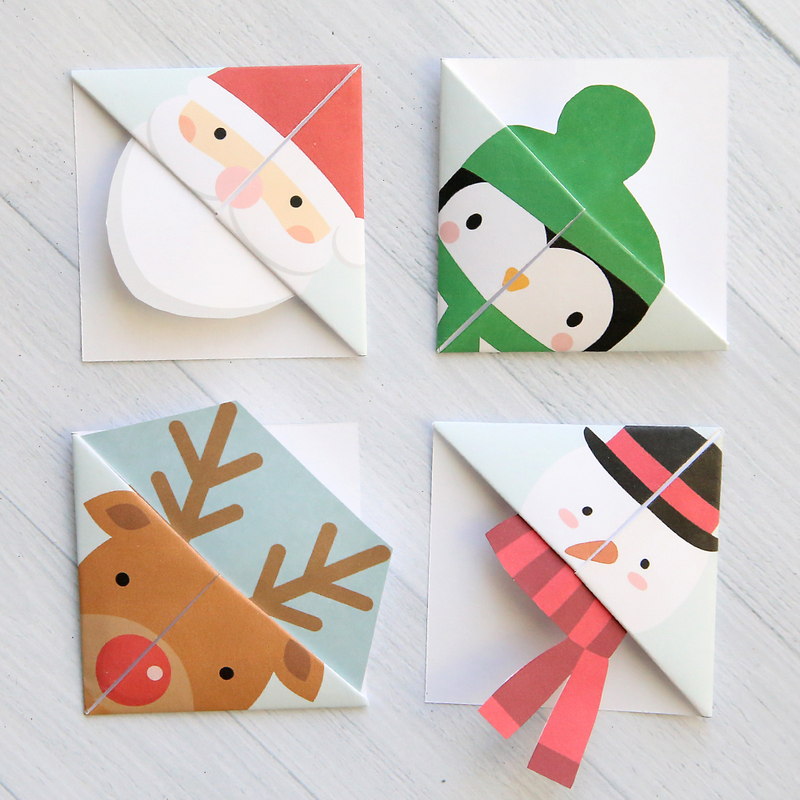 Fun, easy kids’ activity, perfect for class Christmas parties. 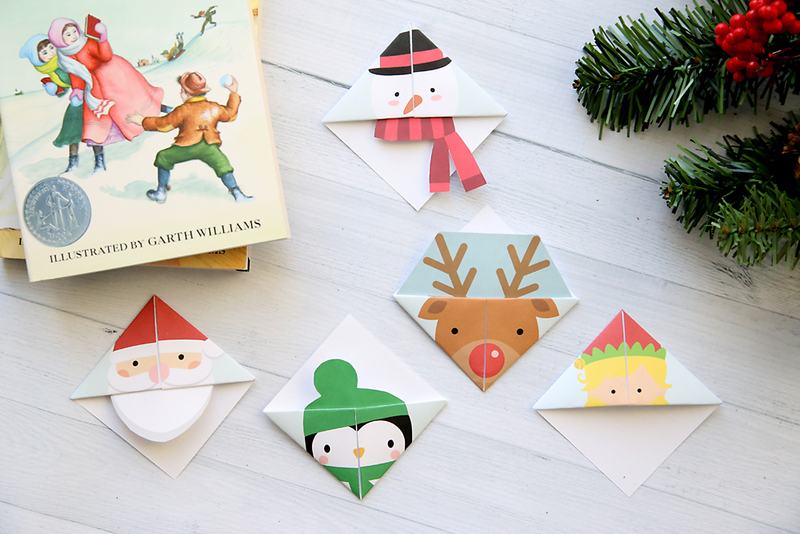 Last month I shared some woodland animal print + fold origami books, and they were so popular I decided to do a Christmas version! 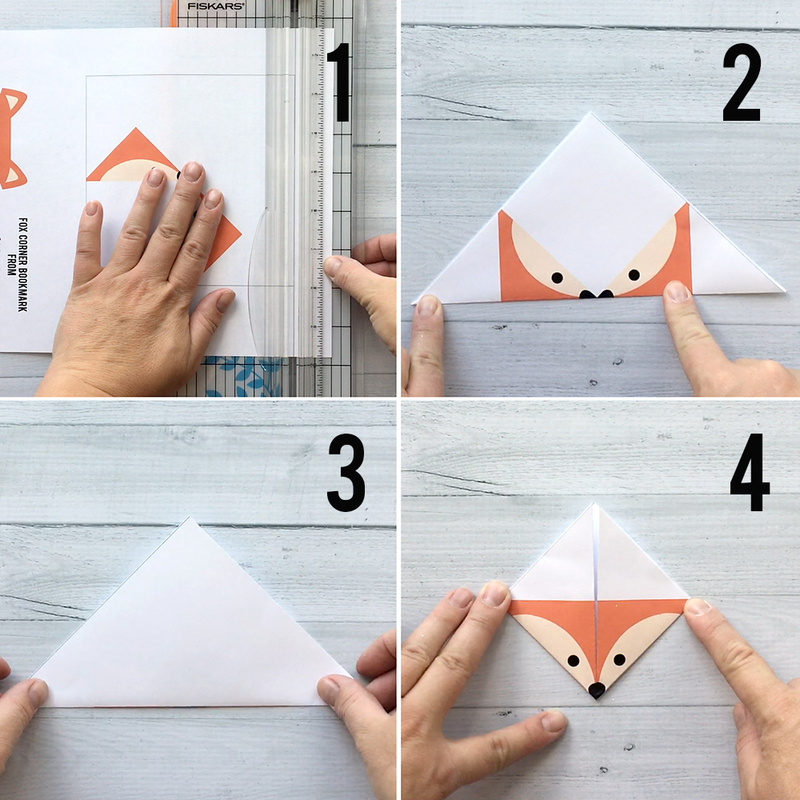 These cute little bookmarks print out on an 8.5×11 piece of paper, and all you (or your kids) have to do is cut them out and follow the easy folding instructions. 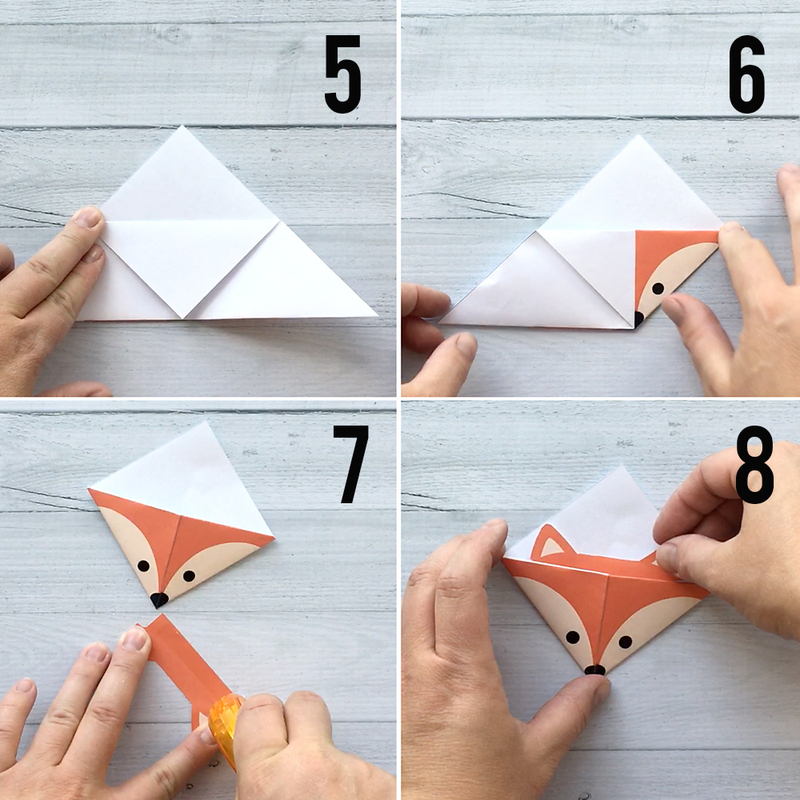 This an easy, inexpensive activity that’s perfect for craft time with your kids. It would also be great for a class or church Christmas party! These bookmarks were created using purchased clipart from following Etsy sellers: clipartland, KennaSatoDesigns, and ClipArtisan. 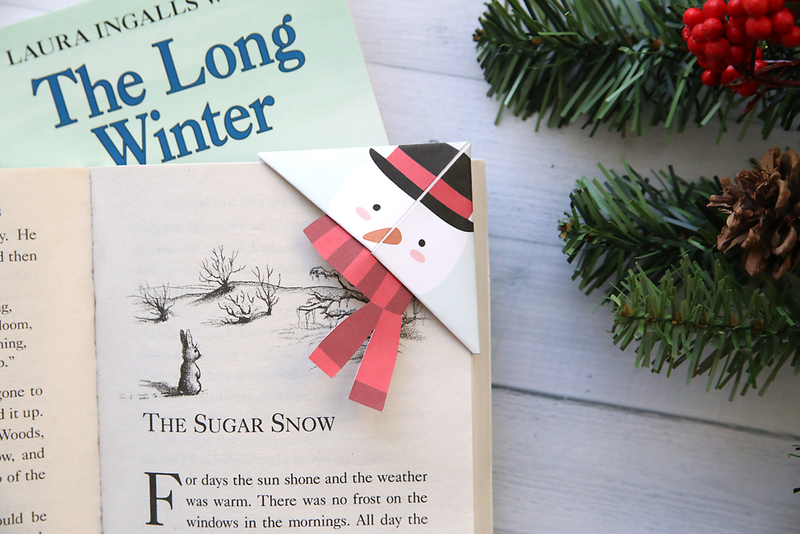 Thank you so much for these adorable bookmarks. I made several of your Halloween inspired ones and my grandchildren loved them. With these printables, I think we’ll have a crafting session, and fold them together. I really do appreciate your sharing your creative mind with us. 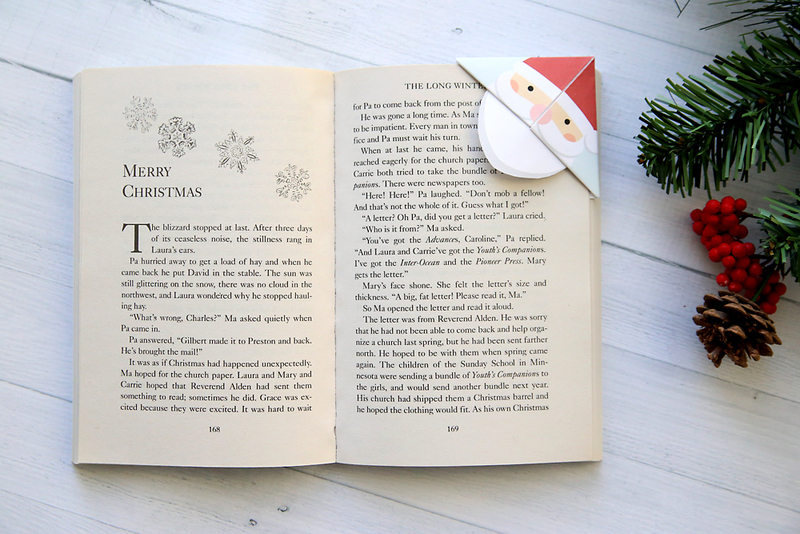 I don’t see a print or download option for the holiday bookmarks. Great bookmark templates. The design is very nice and they’re easy to make. Could you add black and white templates, so that the children can colour them the way they like ? Thank you so much for these super cute bookmarks. 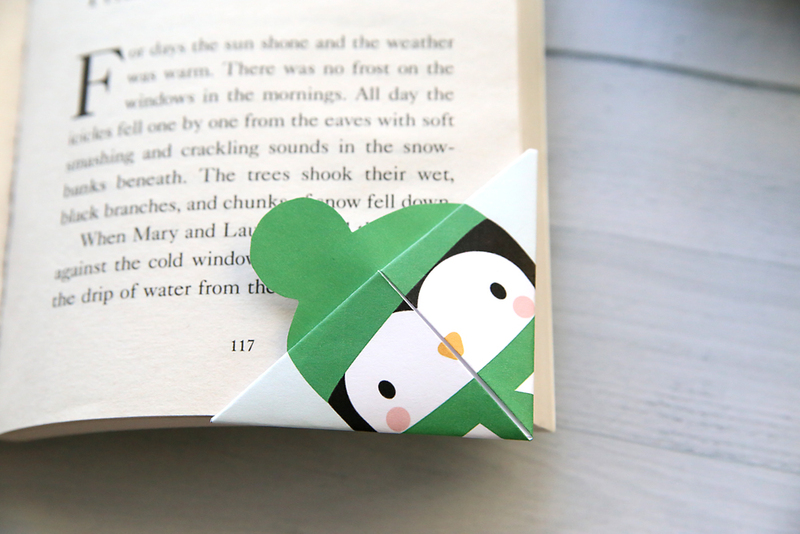 I love Origami and so I love these lovely bookmarks too. I folded a lot of these nice bookmarks and gave it away with books. 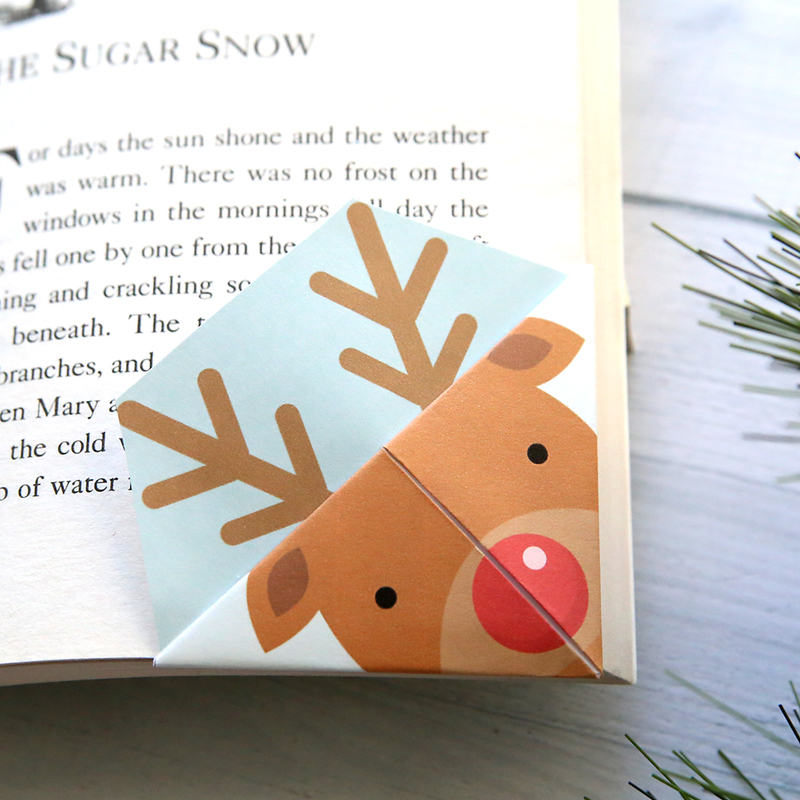 What a nice gift that you share your bookmarks here! Thank you so much for your willingness to share. I’m also interested in the Halloween bookmarks. Will you please share the link? These are SO cute! I just made them and am going to use them as Christmas Tree Ornaments instead. Thanks and God bless! Thank you for these cute corner bookmarks. My daughter is an elementary school librarian and I’m always on the lookout for bookmarks for her library bookstore where students can earn free books. Thanks again. Thank you very much for this nice bookmarks.